I admit to having too much garden, so some neglected areas always get ahead of me. Like that patch of quackgrass growing and spreading happily between a couple of dwarf apple trees. Digging out the quackgrass would be too tedious. Tilling the soil would kill the plants, but many of the chopped up runners would take root and grow into new plants. Tilling would also expose buried weed seeds to light and more air — just what they need to sprout. 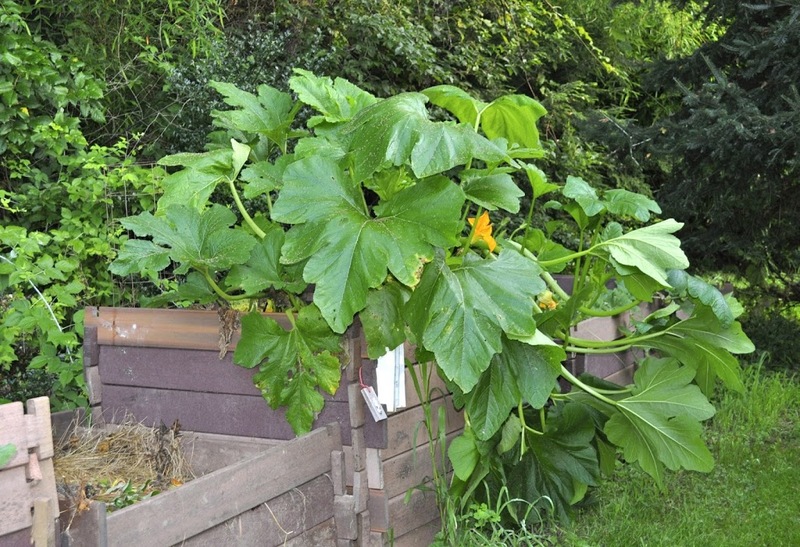 This method of killing weeds is effective, easy, quick, and I can immediately plant something — a second crop of zucchini transplants is my plan — in the mulch. As long as everything is kept moist, roots of the transplants can grow into the mulch and then into and down through the wetted paper into the moist earth below. 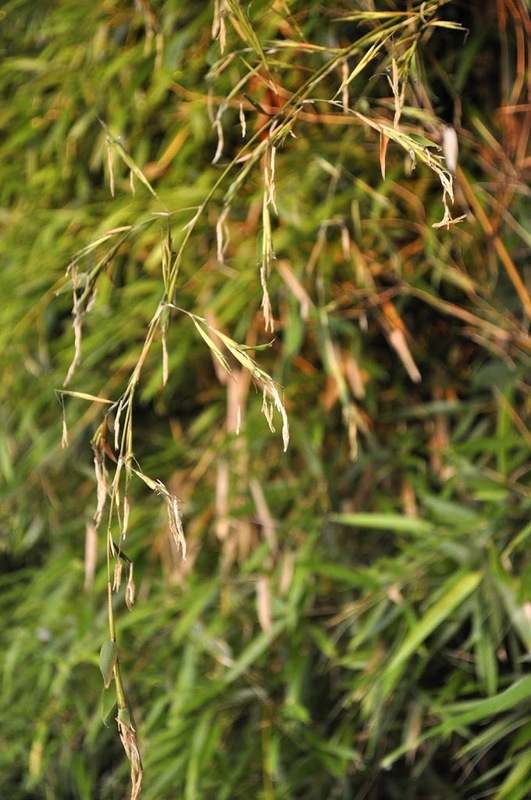 This entry was posted in Uncategorized and tagged bamboo, flowering, Phyllostachys aureosulcata, weed control, zucchini compost. Bookmark the permalink. Trackbacks are closed, but you can post a comment.